Vintage sheets. Finding them, collecting them and sewing with them is something I take much delight in. I adore the colours, the retro prints and when it comes to softness, oh-me-oh-my, the ones that are all cotton are incomparable. A small, yet satisfying finish for this week! Amidst house hunting and getting ourselves ready to leave our summer rental home on the mountain, I sewed some of my low volume fabric scraps together to make a zipper pouch. The countdown is on for leaving the summer rental home we've enjoyed on the mountain. It has been a peaceful and beautiful experience living here. I am so thankful that we've had this opportunity to live surrounded by Nature! More hikes will be taken before we leave, to ensure that this view is going to be enjoyed as much as possible. Truly feels like a gift to be here with my family and for that, I will always be grateful. I have been stitching with one of my favourite colour combinations this week! Pink and orange together is such a happy, energizing duo. It's a project that I started a couple of years ago on a creative whim and then set aside. I'm delighted to return to it and see where it takes me! Wrapping up the week with a finish on a special made gift for a special little girl just starting school! This week, I am very grateful for the new jobs that my husband and I started on Monday. Mine is a seasonal position and starting out, it is part-time - with the option of doing some work from home. I have the pleasure of joining a local, small business owner in sewing personalized Christmas stockings. I am so thankful to have this opportunity and for the joy that my efforts may give to all those that buy those stockings for their loved ones to use! Fall is in the air, here on the mountain. The air is noticeably cooler and the leaves are beginning to change. 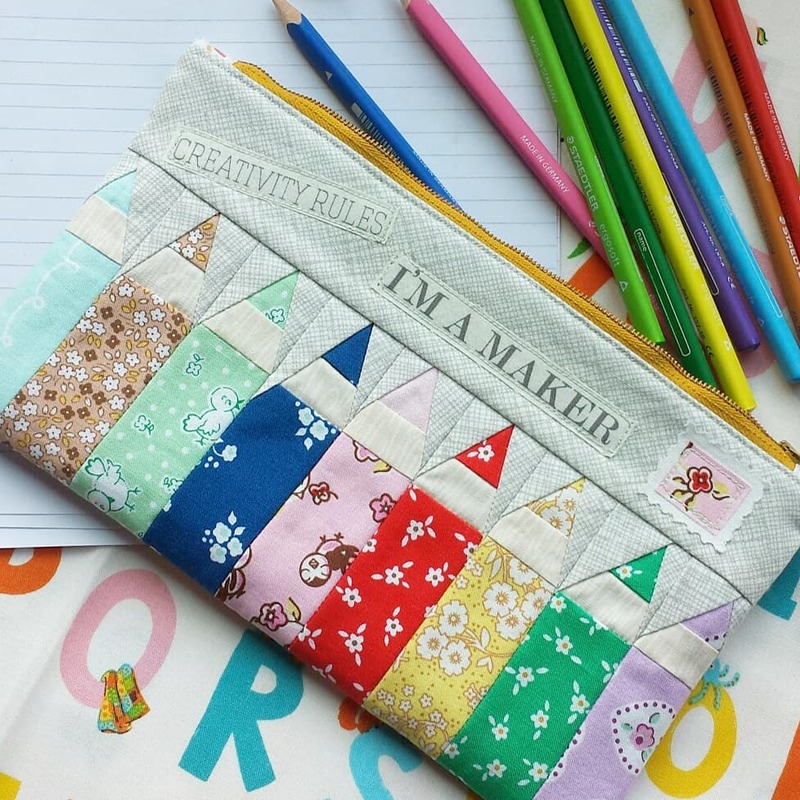 Perfect inspiration for starting a bit of tiny patchwork in pretty Tilda fabrics! Life in this busy world can distract us to where we miss seeing what is right in front of us. I love meaningful quotes - they help me to pause and reflect. A gentle reminder to pay attention. 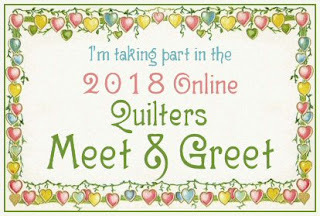 I don't know about you, but I love making new friends, so when Benita emailed me an invitation to participate in today's online quilters meet and greet, I happily said, "YES, please!" 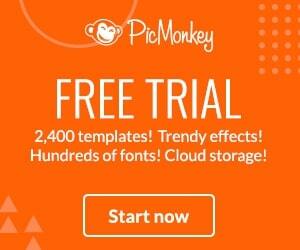 Let me introduce myself, for those that are first time visitors to my blog. My name is Katherine and I am Canadian quilter, living on a mountain in beautiful British Columbia. This is the view I am grateful to enjoy, in our temporary summer rental. I am currently set up to sew on the dining room table and get to be inspired by that glorious view, while I stitch away on one of my vintage Singer sewing machines. Colour plays a huge part in anything I sew - I tend to be drawn to bright, clear colours in all of my projects. My favourite quilts are also the ones I've made from scraps. I finished a scrappy version of the Community Sampler sew along quilt, this summer and can't wait to get it quilted and bound. Not a finished quilt as of yet, but this scrappy sampler quilt is one that delights me! Two of my most satisfying quilts to make, both happen to be quilts that I made from Amanda Jean Nyberg's books. I share her love of scrappy! The quilt below, is my version of her pattern, June - which you can find in No Scrap Left Behind. 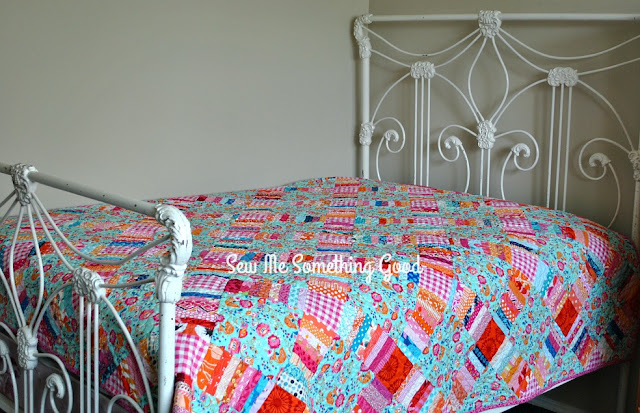 The next one is my version of her Candy Coated pattern from her book, Sunday Morning Quilts. 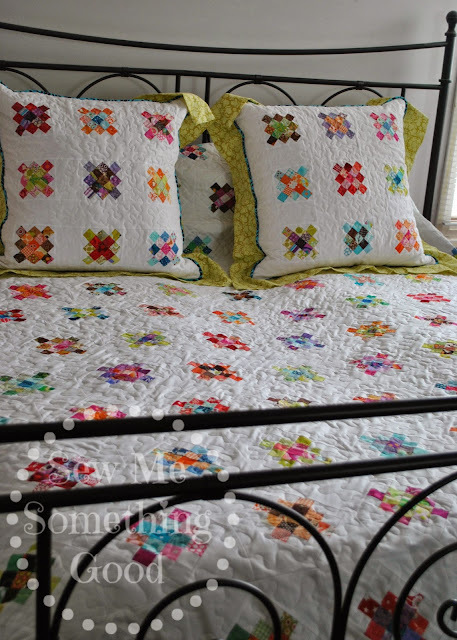 Simply Irresistible is a king size quilt pieced from scraps 1.5" square! 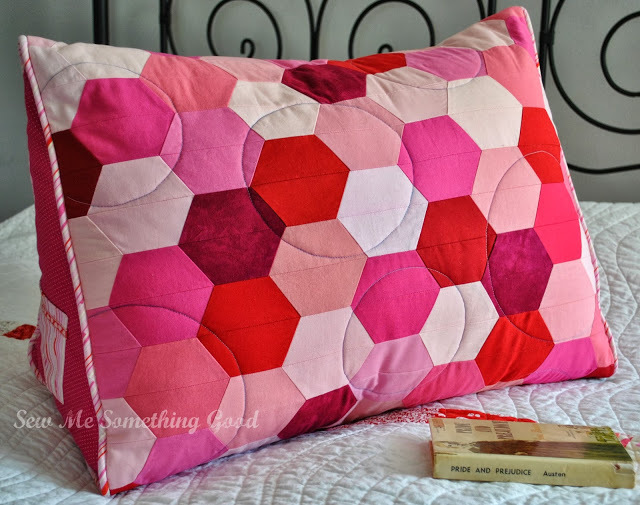 A two year labour of love that started after I made the two large granny square pillows for our bed and was inspired to make a quilt to match. Thank you so much for stopping by and I look forward to visiting you, in turn! 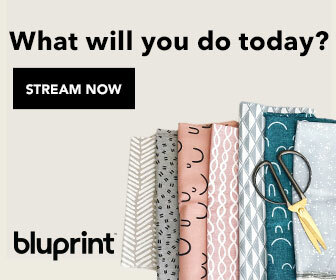 Please click here to enjoy visiting and making friends on all the blogs participating in today's Online Quilter's Meet & Greet! Many thanks to our gracious hostess, Benita, for all her work behind the scenes, making this fun quilters get together happen! All but one of these colourful pencils are improv pieced using sweet prints from designer Elea Lutz's fabric collections. My Singer Featherweight has been humming along this long weekend. This latest bit of scrappy sewing is to make a new pencil case for a sweet niece starting school this year. 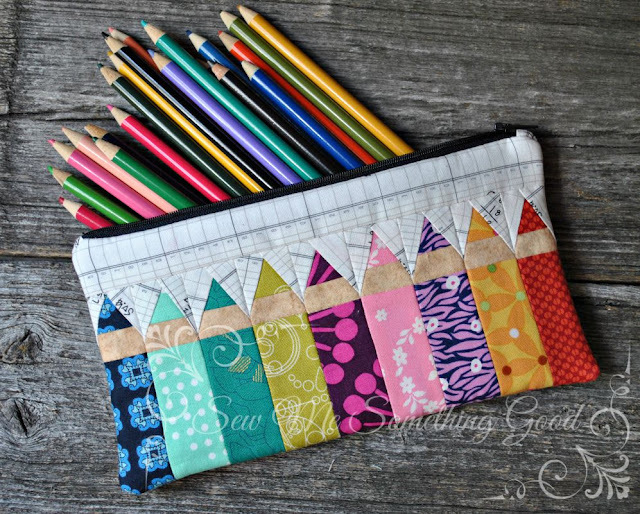 A year ago, I made my second version of this pencil case design, from the book Sew Gifts, with a few modifications. The last pencil case I made, just happened to be for her older sister and it's hard to believe it's already been a year since I made that one. I enjoy making them and this design in particular is a fun one, with the pencils being improv pieced. That means no two pencils will look exactly the same! My first version, is the one I made for myself! This third version is about to be personalized for my niece. Yay! I love being able to give handmade gifts with extra special details! This quote makes me smile! The pure simplicity of knowing that we can choose to be grateful and that, in turn, this makes us happy. YES! Who doesn't want more happy in their life? My Tilda fabric scraps are getting my sewing attention again this week. I am making progress on turning pretty scraps into a second prototype for a design I created awhile back, using an adaptation of my terrific tulip block . I've bounced back and forth a bit on whether I should turn it into a pattern, due to the scale of the pieces in this project. 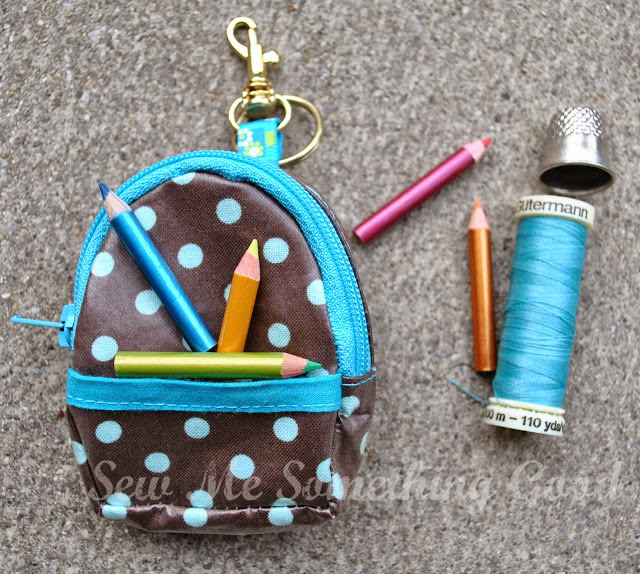 This is the project I was working on prior to getting sidetracked and making this sweet pouch. I am leaning towards writing the pattern, in part because I know I like a mix of challenging and easy designs to choose from in my own sewing - and I believe that I am likely not alone in this. Plus, I am loving this design so much and would love to see more versions of it made - which is perhaps the most fun part of putting a pattern out in the world for others to use. What are your thoughts on tiny patchwork? 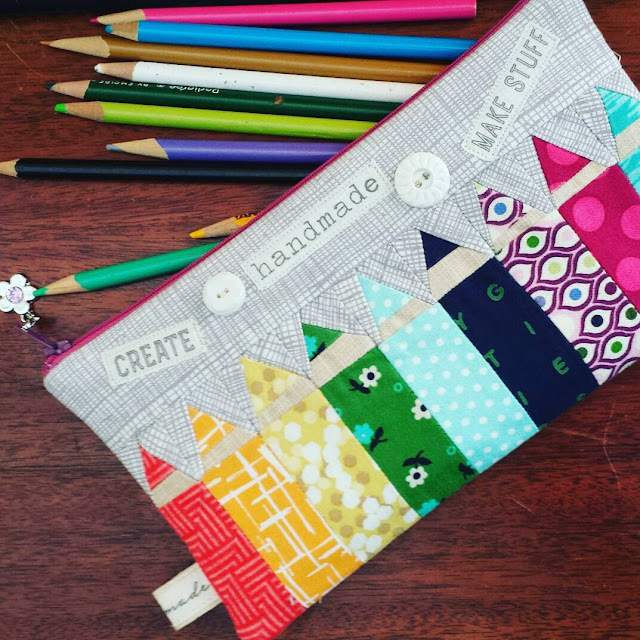 Do you find it too fiddly or do you enjoy it (perhaps every now and then as an occasional bit of sewing)? Would love to hear your thoughts! Our season of calling Silver Star mountain our home, is nearly over. We have really enjoyed living here, with so much peace and the beautiful views. I am so grateful that we had the opportunity to live here! This week, I am grabbing hold of this quote, as I am currently in the midst of searching for the next home for my family and I to rent. I want to stay focused on all that I am grateful for, rather than letting the fear and anxiety that can accompany uncertainty or the unknown overwhelm me. I wish I could say that it's always easy, but it's not! I have felt those same feelings earlier this year, threatening to drown me in negativity. I made conscious efforts to choose to be open to possibilities and chose to be grateful for the time we had at our previous home, rather than getting frantic about where we would be living next. With less than two weeks left before we had to move, I found the rental on the mountain. It has been a blessing! I wonder what adventures we will have and where we will be next? Summer is almost at an end, and harvest time is right around the corner. 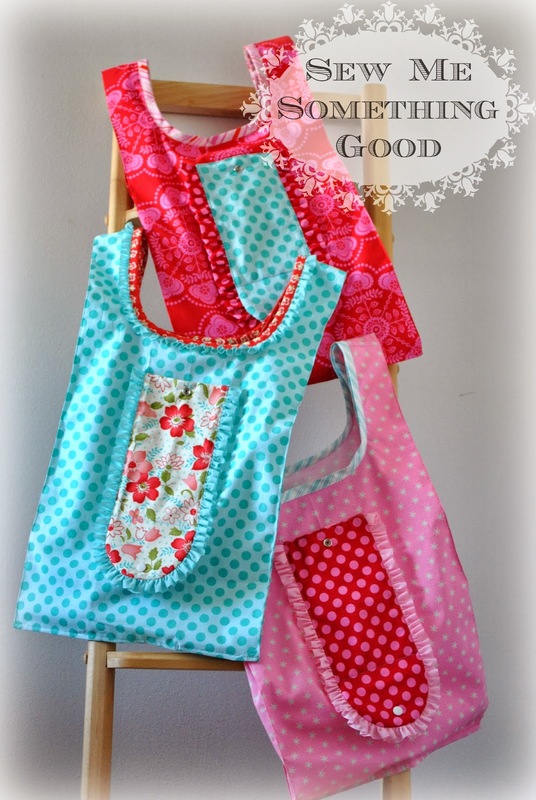 Perhaps like me, you're looking for a quick and simple sewing project. Something to make just for the fun of it! A little sewing time this weekend, resulted in a sweet and satisfying finish for the scrappy terrific tulip blocks I shared last week. Using straight pins to temporarily hold my project layers together so I could hand baste to prepare for machine quilting. Bundles of pretty vintage sheets worked as the background for this beautiful quote - it all came together using PicMonkey! I am a believer in the power of words - what we say and what we think. Perhaps that is why I love to continually collect quotes that give me pause in my day-to-day living, and lift my thoughts. I jot these quotes down on any available scrap of paper when they cross my path. Months ago, I started adding some gratitude quotes to some of my photos, as gentle reminders to myself. The simple act of being grateful keeps me focused on all the good, all the blessings and all the abundance of life. Knowing that a positive attitude can make a world of difference, especially when we face challenges in life (which apparently is what life is about! ... hello, personal growth! ;o), I decided that perhaps it's time to share some of these wonderful quotes here on my blog, with you. My hope is that you will find that they give you a little boost as well. Treated myself to a little stitching to kick off the week! I'm using my scraps from my Tilda fabric stash paired with a variation of my Terrific Tulip Block pattern for a new project. I'm excited to see this come together as the idea just popped into my head as I was working on some pattern writing using this block. One idea leads to another and it can be so much fun to see where inspiration takes us! Using my terrific tulip block, I'm working on a new design - this time in some lovely Tilda fabrics! One of the projects in the teetering stack, is a pattern I'm writing using my Terrific Tulip block. I'm playing with a second prototype using some Tilda fabrics that I've been stashing. Keeping it real... designing and sewing with pretty fabrics is my favourite part of the process! I have to work harder at the pattern writing aspect - it's where my perfectionistic tendencies can slow me down. It also seems that I always come up with more ideas and more variations of ideas to try and better methods to use, once I'm in the midst of things. That also slows me down. Anyways, I'm determined to keep plugging away at the techie end of things and get some patterns together for pattern testing. I want this to be a month of finishes! Fingers crossed. How about your plans for this month? 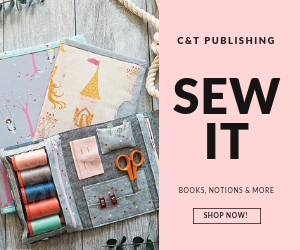 Just in time for the long weekend, Craftsy is having a sale! Save up to 70% on Supplies (8/3-8/6/18)! Last summer, I decided that it might be fun to sew a summer nightie using a vintage pattern I found at a thrift store, from some of my stashed vintage sheets. I paired two of my lightest weight, all cotton sheets and even added a touch of vintage ric rac to the yoke to make the perfect summer sleepwear! Summer nightie made using vintage pattern Style #1721. Temperatures have heated up again, calling for something light and comfortable. Time to make another vintage nightie! Thankfully, I brought a few patterns along for our summer stay on the mountain, and my vintage nightie pattern was included (along with 2 others that I bought since last summer!) so now I have to decide which vintage pattern to use along with the pretty vintage sheet I scored last week. Sewing something pretty and practical, while giving new life to vintage materials always makes me happy! I particularly enjoy sewing items from vintage sheets - from quilts (here and here), lounge pants (here and here) and even shopping bags (here)! Inspiration took me on a lovely creative adventure with a rather circuitous route, that (not surprisingly) landed me in my scrap stash for some instant gratification sewing. Several elements (and people) brought inspired me to a mad dash to my sewing machine. No surprise, I just couldn't resist going as scrappy as I could with this second version of the block! First, I was struck by the beauty of a photo of some purple cone flowers, taken by Sharon Holland, the colours so lush and vivid that they were vibrating with energy! This, in turn, triggered my memory of having a flower block set aside in my "must sew one day" folder, one that could mimic the look of a cone flower. A delightful, simple patchwork flower block with large petals, designed by Lori Holt. The final inspirational influence that prompted my action? Remembering the most beautiful quilt using this block, made by Dana Bolyard. It's jaw dropping gorgeous! I love and appreciate the creative talents of these women and the countless others that share those talents with the rest of us. I also enjoy how creativity can be sparked and spread, which is why I love the times when I just follow that energy and see what happens. It's magic! 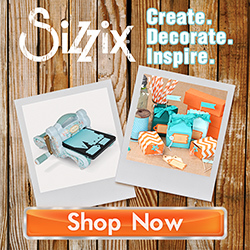 **Edited to add** Here's the link to the page where you can find the Zinnia block for sale as a downloadable PDF pattern. Enjoy! Guess what? All those scrappy blocks that I have been sharing in previous posts have become a quilt top! I had the most fun using my scrap stash to sew the free block designs in the Community Sampler sew along (hosted by the talented and lovely Art Gallery Fabrics designers; Sharon Holland and Maureen Cracknell). 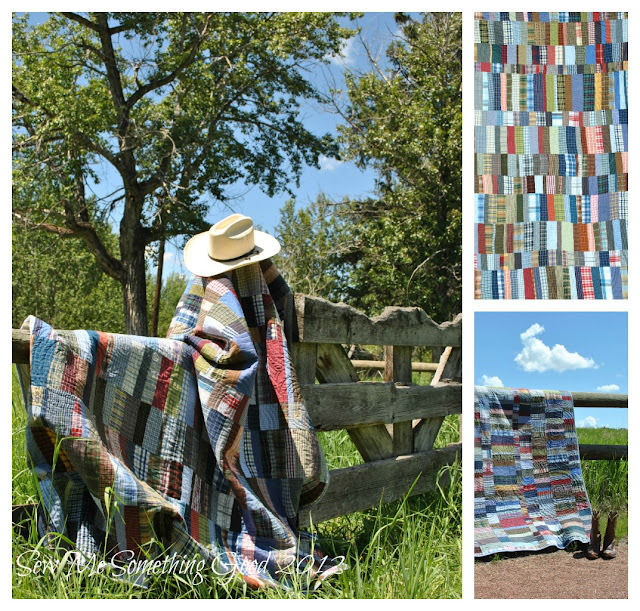 Working from my scrap stash, I selected a mix of low volume fabrics to frame each block. It just so happened that I still had a few special low volume fabrics from a swap that were the perfect size! Low volume scraps were pieced to make the inner borders and then for the outer borders, I altered the design so that I could have little pops of colour (and a larger quilt top). The trickiest part is photographing a finished quilt top! Lucky for me, I stumbled upon the idea of hanging the freshly completed top over the window, which happens to show off all the extra piecing that went into my version. It's easier to see the areas that I pieced from tiny scraps to make my blocks unique. Check out how tiny some of the scraps are! The above block, Square dance, has lots of extra piecing that went into it - the original design has a single fabric for the center (which is an 8.5" square). Held up against the light, you can see that I made four log cabin style blocks in low volume scraps and then added a quarter of a circle (also pieced from scraps) to one corner of each of these. I love the secondary pattern that I created by doing this extra design and piecing. Pieced entirely from scraps and full of happy colours, this quilt will be a wonderful reminder of a time of transition in my life - the unexpected move and then the amazing summer rental on the mountain.